You have a lot invested in your property, and that includes more than money. There's been time spent, energy expended and pride taken in keeping your grounds healthy and putting on an impressive show, but when winter sets in and snow covers your lawn, shrubs and beds, it’s easy to sit by the fire and forget about what’s happening outside. Although your garden appears dormant, it’s preparing to rejuvenate once the temperature warms and the days lengthen. Come spring, your plant life will rise from the ground and begin its natural cycle. 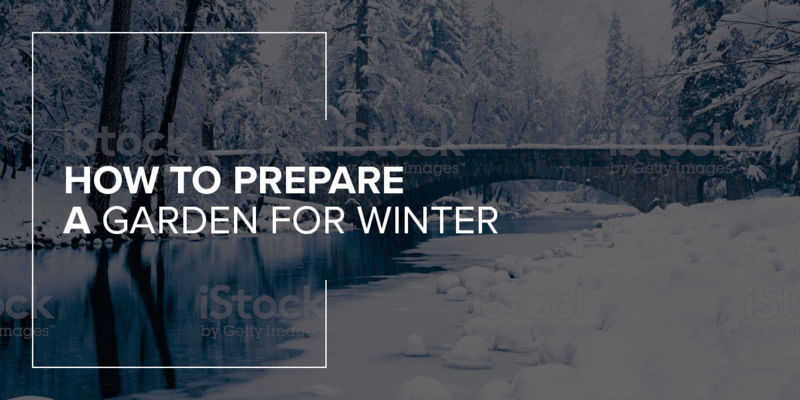 What you do in the fall to prepare your garden for winter survival will make all the difference in ensuring continued health and protecting your property investment. One of the best wintering garden tips is to view your garden as an interconnected web of plants and support systems. Consider the space as a whole that includes your flower beds, vegetable plots, lawn, shrubs, trees and even your containers. Then, consider everything that supports year-round plant health, including your garden supplies, compost pile, watering systems and, of course, your garden maintenance tools. These are all aspects of the garden. What you do for winterizing your garden pays back in the spring. That investment keeps on returning throughout the summer and fall, and it’ll carry on come next winter and throughout seasonal cycles to come. To help you plan for long-term property protection, we’ve prepared this winter gardening guide. To prepare for winterizing your garden, you need to know your climatic zone. That way, you’ll be on time with critical tasks before the frost, ice and snow set in. The United States Department of Agriculture (USDA) has a wealth of information for America’s gardeners. Check out the USDA’s climatic zone interactive map that warns you when you’ll be gardening in the snow and what temperatures to expect. For instance, if you’re near Brooklyn, NY, you’re in a 7b climatic zone. You can expect winter to set in by November. From then until April, your temperatures can go as low as five to 10 degrees Fahrenheit, which is sufficient to kill non-hardy plant species unless you start your protection program in October. Watching your calendar is a big help in protecting your garden from frost. • Flower beds: You can divide this component into annuals and perennials. • Vegetable beds: These portions of your garden might be raised beds or larger plots. • Containers: Containers are just as much part of your garden as beds. • Shrubs: Whether deciduous or evergreen, all shrubs require pre-winter attention. • Trees: You’ll need checkboxes for pruning, staking and mulching. • Lawn: Raking, aerating, fertilizing and watering belong on your checklist. • Equipment: Everything from irrigation systems to hand tools requires attention. Let’s look at each category individually. With time being a prime factor, it’s wise to break your list into three priorities—high, medium and low. That way, you’ll be sure that first things are done first and some important step isn’t missed. • Flower beds: Flower beds are one of the first garden areas for winter preparation. Start by removing dead or dying annuals and moving them to your compost pile. Save the seeds if you can, or spread them around if you want natural spring reseeding. Now is the time to divide or transplant perennials. This process gives them all winter to adjust their root systems. Finally, give your flower beds a good compost mulch, which insulates leftover annual seeds and prevents weed germination. • Vegetable beds: Vegetable beds get similar treatment to your flower areas. Remove all decaying vegetation before the snow arrives, and move it to your compost bin. Then, till your soil so that it’s loose and doesn’t compact hard over the winter. During this step is a good time to add fertilizer, especially rich humus containing well-composted material. Many vegetable gardeners cover their beds with porous blankets like burlap or landscape fabric. Doing so lets water soak through but stops unwanted weed growth. • Containers: Containers are popular in every garden. If you use them for annuals, make sure you drain them and remove any soil after pulling out old plants. That way, you can leave your containers out over the winter without danger of the soil freezing, expanding and cracking your pots. If you have perennials or evergreens in containers, it’s best to wrap them and move them close to your house or under the eaves, which protects from wind chill that drops ambient temperatures. • Shrubs: Shrubs can use all the attention they can get. Permanent shrubs have no choice but to stay where they are. It’s your job to protect them. If you’re not familiar with shrub hardiness, you can search your species on the USDA website. It'll tell you how well a particular plant survives the lowest temperature in your zone. If your shrub is hardy enough, there’s little attention needed. However, if there’s a risk of frost damage, make sure to protect it by wrapping or creating a windbreak. Pre-winter is also the best shrub pruning time. • Trees: Trees are a class of their own. You’d think they'd be self-sufficient once they’re well-established, but that’s not necessarily the case, even if your anchor trees are hardy enough to take more cold than your region delivers. Trees have two classes — evergreen and deciduous. Evergreens are generally low-maintenance, but deciduous trees need pruning for the best health. The best tree pruning time is after leaves are shed but before the frost starts. That way, pruning shock is less severe, and your valuable tree has the wintertime to recover. • Lawn: Lawn care is essential for getting ready for the winter. The trick with lawn care is to make sure your essential lawn maintenance tasks are done before the snow settles in. Remember these five steps for pre-winter lawn care: raking, cutting, mulching leaves, fertilizing and watering. You can do all these steps right up until the snow falls, but make sure you check your lawn list off in that order. • Equipment: Pre-winter maintenance is just as important for equipment as it is for general garden care. A high priority is deactivating and blowing out your lawn sprinklers and irrigation systems. Standing water will freeze and crack your pipes and fittings, causing expensive damage. Make sure you clean your lawn mower and drain the gas before storing it. It’s also good practice to polish up all your garden implements and store them before they get lost under a thick snow blanket. The subject of protecting your plants deserves special attention in this winter gardening guide. First, we’ll look at protecting outdoor garden plants. Then, we'll check out some tips for indoor winter gardening. Outdoor plants are much more susceptible to cold damage than those you can move inside. Have you ever stopped and wondered what happens to plants in the winter? Cold weather severely affects certain varieties and hardly bothers others. How winter affects plants depends on the particular species and how they react to temperature drops. Plants rely on photosynthesis to survive and reproduce. Photosynthesis is nature’s process for plants to use bright sunlight and warm air to produce food from water and carbon dioxide. Once the days shorten and the temperature drops, perennial plants naturally drop into dormancy and conserve energy for the next seasonal cycle. Cold-resistant plants harden off for the winter. That means they toughen up to withstand low temperatures and long periods of dim light. However, not all winter-tolerant plants can take sudden temperature fluctuations and severe cold snaps. It’s your responsibility as a serious gardener to help your plants make it through the winter. If you take time in the fall and give your plants the right attention, you’ll ensure that they have a great fighting chance throughout the winter. • Low temperatures: Even plants not suitable for your hardiness zone will withstand low temperatures as long as they’re insulated. You can cover or wrap the above-ground portions with a breathable fabric, but the greatest danger lies in frozen feet. A thick mulch over your plant’s root system will make for excellent insulation. • Wind chill: The greatest winter plant threat isn’t ambient temperature. It’s wind chill that saps the life out of dormant plants, and it’s not the wind chill that we humans experience as a temperature shock — plants dry out from wind chill. They dehydrate and can’t live without water. Protect your plants against wind chill just like you do for ambient temperature drops. Wrapping and building windbreaks are the perfect solutions. • Moisture: Excessive moisture can be just as harmful to winter plant survival as cold air and high wind. Plants sitting with wet feet can drown or suffer root-rot. Make sure your plants’ lower parts are well-drained. The best protection against too much moisture is preparing your soil to ensure that it’s free-draining. • Sunscald: You wouldn’t think the sun would harm your plants throughout the winter, but it can if they experience sunscald. This situation is where sun rays activate plant cells on warmer winter days and then leave them to perish at night. You can easily protect thin-barked and younger plants, as they’re more vulnerable to sunscald than older and tougher specimens. Wrapping or using an anti-sunscald white paint are excellent defenses. • Salt: Most cold weather property owners resort to salt or de-icing chemicals to deal with winter slip hazards. This strategy might work well on pavement and concrete, but salt and its substitutes are deadly to plants. If you use salt, make sure it stays away from plant roots and that the melted water doesn’t drain toward your plants and poison them. • Animals: As much as you feel sorry for cold little critters, they can destroy plants. Common garden visitors include deer, rabbits and mice. They’ll enjoy a free meal and eat anything that says vegetation. A workable solution against animal predation is mechanical protection, like chicken wire fences and metal collars. Do not use any type of chemical deterrent. • Cold frames: This tip is as old as they come. Cold weather gardeners learned long ago to manipulate their environment. A cold frame is nothing but a mini-greenhouse for which you build a clear cover over a type of raised bed. This structure increases temperature and ambient light, giving you a head start toward spring. 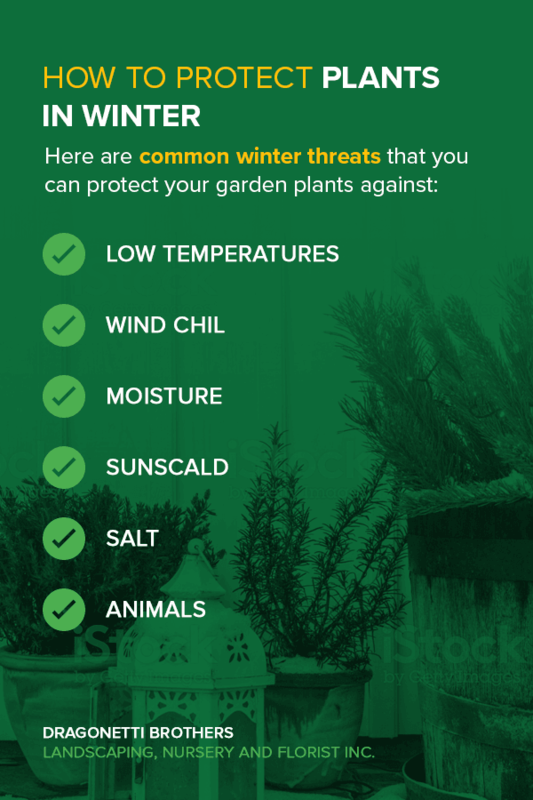 • Cold-resistant plants: Many gardeners aren’t aware of how many cold-resistant plants are out there for winter gardening pleasure. You can raise low-temperature perennials for winter color. How about pansies, calendula and candytuft in January? Or you can grow flowering cabbage and good old kale no matter what Mother Nature throws at them. • Cold harvesting: Cold weather gardening isn’t just for flowers and decoration. You can easily harvest root and leaf vegetable throughout the winter months if you pick the right types. Chives, radishes and lettuce are only some of the cold weather crops you can grow in the winter. If you find it too tough to get outside in the snow, you can always bring your garden indoors. You can haul some of your container plants in for the winter or start from scratch. Many people start their bedding plants inside and transfer them out when it warms. You can use a simple window box and capture natural sunlight, or you can get even more ambitious and build your own indoor grow room using artificial lights like T50 fluorescents or more sophisticated electronics like LED or high-intensity discharge (HID) lamps. No matter what length you go to, you can always have fun gardening in the snow. Don’t let that white blanket stop you. Start by protecting your existing plants and preparing them for a spring head start. Then, get creative and build a cold frame or grow room. No matter what you do, take the time to consult plant professionals like Dragonetti Brothers Landscaping. 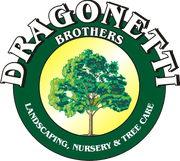 Dragonetti Brothers Landscaping can be your one-source solution for all gardening needs in the New York City area. 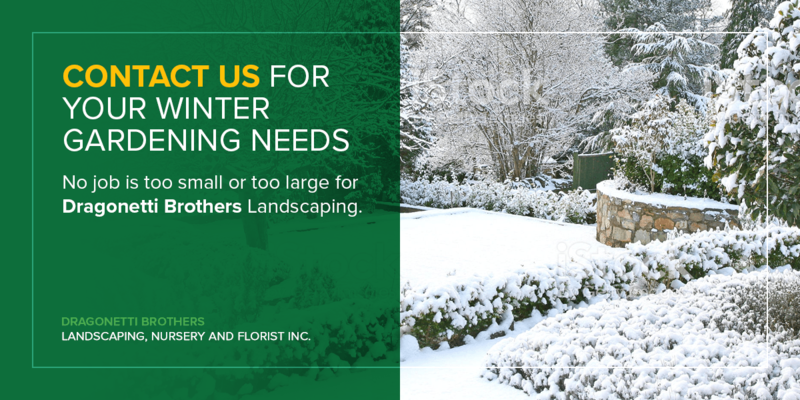 Whether you’re a fair-weather gardener or enjoy roughing the cold, we're here for you year-round. We’re a family-owned business with over 40 years of experience. That’s a lot of cold NY winters! We specialize in Brooklyn landscapes as well as serving the residential, commercial and government markets with seasonal maintenance. No job is too small or too large for Dragonetti Brothers Landscaping. Customer satisfaction is our top priority, and we take pride in our reputation of quality workmanship, professional presence and courteous service. Contact us today for a free quote on all your gardening and landscaping needs. We’re a phone call away at 718-451-1300.